I started reading Judy Blume's children's stories (young adult novels) in 2002, with his hit book, Tales of a Fourth Grade Nothing (1972). It became a best-selling book that made Blume to write this in series, because fans clamored for more. But before she became a children's book author, she was already known as a romance novelist. Tales of a Fourth Grade Nothing is a funny yet heartwarming story about a 9 year old boy named Peter Warren Hatcher and his relationship with his 2 year old brother Farley "Fudge" Drexel. The book actually moved me to tears and I became an instant Jude Blume fan! It was followed through with other titles: Superfudge, Fudge-a-Mania, Double Fudge, and Otherwise Known as Sheila The Great. I've been recommending her books to both parents & teachers. 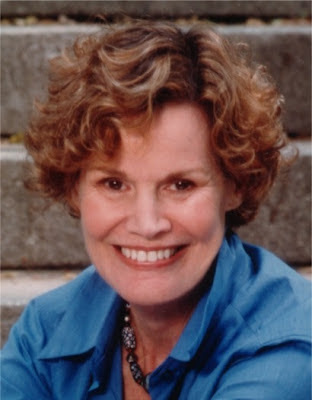 Judy Blume is one author I'd like to meet in person. Seriously! I wish she writes more children's stories. Her stories are very funny, but can make you cry at the same time. Most importantly, they teach moral lessons for kids to learn from.